Help deliver the message on December 17! 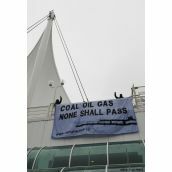 VANCOUVER, COAST SALISH TERRITORIES - This morning, activists with Rising Tide-Vancouver, Coast Salish Territories dropped a banner reading “Coal, Oil, Gas: None Shall Pass” outside Port Metro Vancouver’s head office at Canada Place, in opposition to the proposed Fraser Surrey Docks coal terminal. 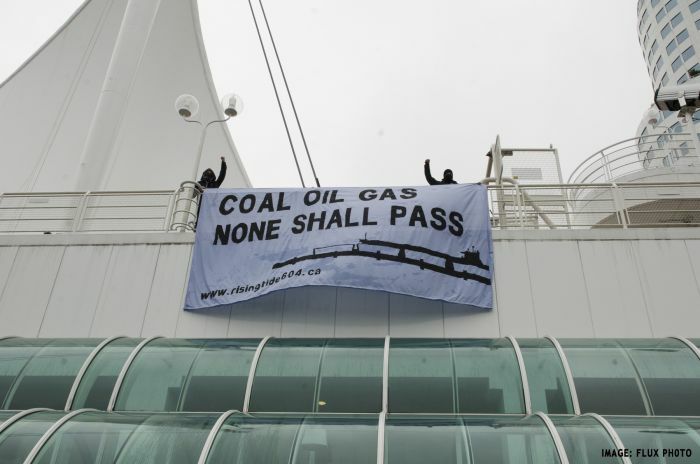 “This coal export project is part of a push to make BC a gateway to profits for the fossil fuel industry. 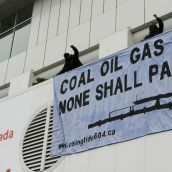 While a coal terminal may be on the radar now, we are facing a juggernaut of fossil fuel development that puts our climate, water and health at risk for the sake of corporate profit and Christy Clark and Stephen Harper are acting as the industry’s top salespeople,” said Chandra Tung of Rising Tide. 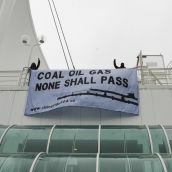 The group’s message to stop fossil fuel exports falls within the 30 day comment period on the Fraser Surrey Docks Environmental Impact Assessment, which has been widely criticized by resident groups, local governments, medical researchers and health authorities for failing to adequately consider the human health, local environment and climate impacts of the proposal. 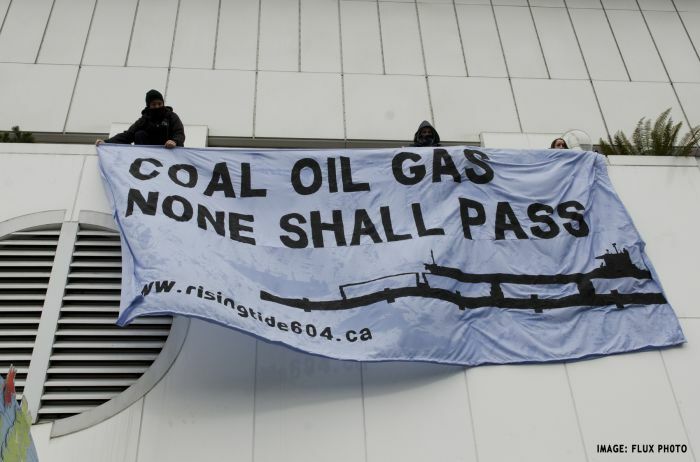 The protest also comes as Kinder Morgan prepares to file its application to twin the Trans Mountain tar sands pipeline next week, and a recommendation from the Enbridge Northern Gateway Joint Review Panel is expected before the end of the month. If built, the Fraser Surrey Docks project would export 8 million metric tonnes of coal annually, and be responsible for 17 million tonnes of carbon dioxide emissions each year. 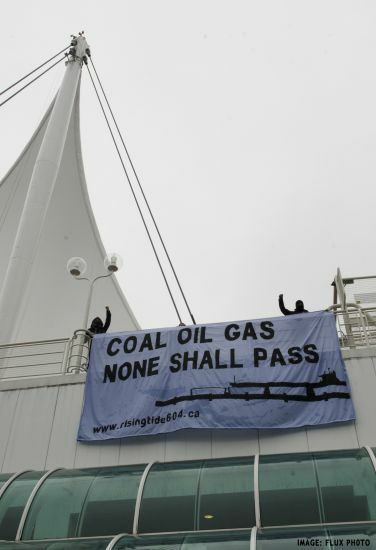 When combined with the Lower Mainland’s existing coal export capacity, the Fraser Surrey Docks project would result in the region becoming North America’s biggest coal exporter. 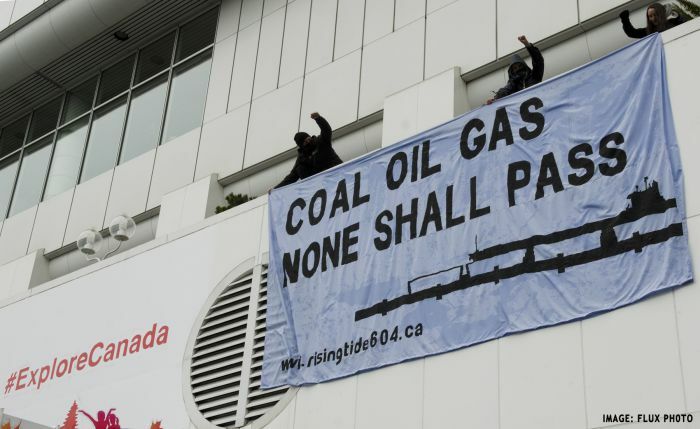 Rising Tide has launched a ‘Flood the Port’ campaign, asking people to voice their opposition to the Fraser Surrey Docks proposal on the last day of the public comment period, and pledge to take to the streets to stop the coal terminal from being built if Port Metro Vancouver approves the project. 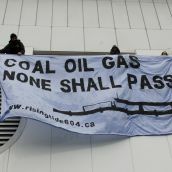 The pledge is available at: www.risingtide604.ca.